The number of Chinese studying abroad has dramatically expanded; 274,000 Chinese students studied in the US alone during the 2013-14 school year. At the same time, global citizens are flocking to study in China, both from the US and elsewhere. The 2012-13 school year saw some 14,000 US students travel to China for study. While this number pales in comparison to the scale of Chinese studying in the US, the total number of foreign students studying in China during 2012 was estimated at 320,000 from 180 different countries and regions. So what is the allure and what are some of the benefits from studying in China that attract so many students from around the world? The most obvious and most commonly cited benefit of studying in China is language experience, with career advancement potential. 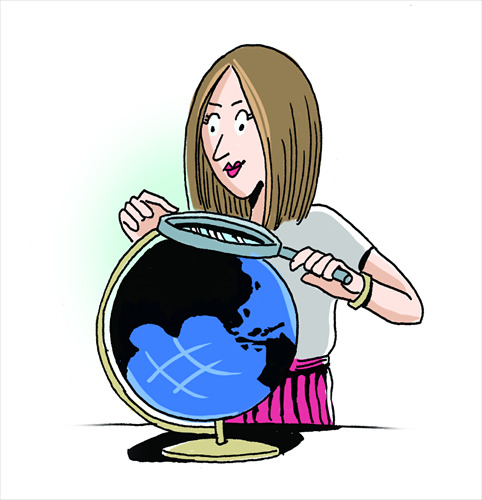 China's growing global status has given a boost to the career prospects of anybody who speaks the language and has direct experience of the country. China is also investing heavily in its educational infrastructure. China is striving to build more world-class universities, and investing heavily in higher education. Aside from calligraphy, martial arts and other cultural subjects, Chinese degree programs in majors such as engineering, science, medicine, economics and trade, MBA as well as finance are increasingly attracting global students, especially at top schools such as Beida and Tsinghua. China's university qualifications are recognized by most countries worldwide, and are often cheaper than taking a course in a developed country. The Chinese government has signed an agreement on mutual recognition of academic qualifications with a number of countries including the US, Britain, France, Japan and 65 other countries and regions. The opportunity for cultural immersion that living in China provides is also significant. While the tendency for some overseas students and expats is to move within the social circles of their foreign friends, this approach misses the value of the immersive experience. The personal friends that students make while living in China can become lifelong friends; friends that can help in business and other professional endeavors in the future as well. The importance of increasing the number of students studying abroad in China has been recognized at the highest levels. US President Barack Obama in 2009 announced the "100,000 Strong" initiative, a national effort to increase the number and diversify the composition of American students studying in China. The Chinese government also strongly supports the initiative and has committed 10,000 "Bridge Scholarships" for American students to study in China. Earlier this month, the initiative got a boost from a very well-known figure not only in China, but also on the world stage. "I am inspired by this large gathering of students from two countries that are very important to me - having lived, studied, and worked in both. Similar to my experience living overseas in the United States, cross-cultural student exchange enhances understanding and builds trust between China and the Unites States," said Yao Ming, former basketball player and head of the Yao Foundation. Sure, challenges exist to serious study in China, and they can be significant. The Chinese language is very difficult for foreigners to learn, let alone master. Living in any country significantly different from your own also presents the challenges of different foods, customs and lifestyles. But savvy students will see a path to success through these challenges. As difficult as the Chinese language may be, there is no better way to learn it than studying it in China and practicing it in everyday situations. Differences in food, culture and customs become opportunities for discovery and knowledge. Essentially, studying in China will give students a chance to develop global skills of adaptation and ambassadorship. They may retain their home passports when finished with their course of study, but they will likely emerge as global citizens in every sense.